A small Barrier Canyon Style pictograph panel located high up near the back of a large alcove. 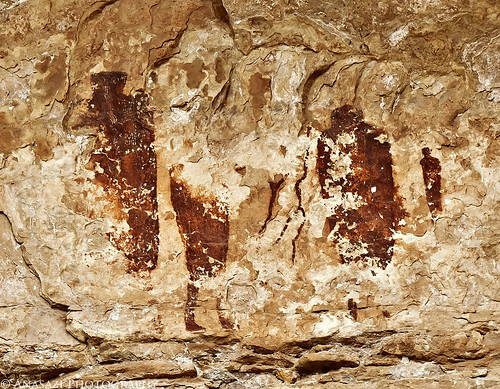 Even though these pictographs have not survived as well as the nearby Perfect Panel, you can see that they were at one time just as detailed. You can click on the image to view a larger size on Flickr where you can get a better look at the fine details that remain.